As some of the writing done here is by recovering persons we wish to keep our identities private and remain anonymous. Hence we will not provide contact information here but please, please contribute to this blog via the comments utility. We, as a collection of writers, are very interested in your views in contributing to the sum of knowledge regarding the theory and experience of alcoholism, addiction and recovery. Paul Henry, our principal blogger and researcher, uses a pseudonym and has contributed to various other addiction based websites such as Addictionland, Klen + Sobr and Recovery SI. Paul Henry (also known as “alcoholics guide” and Drunken Neuron) currently researches and writes theoretical articles with two Professors from a UK University rated as top of the REF list and as one of the best in Europe. He writes under his real name. His co-authors do not contribute to this blogsite. As Paul Henry supervises the content on this blogsite, he is responsible for content, errors, omissions and correspondence. 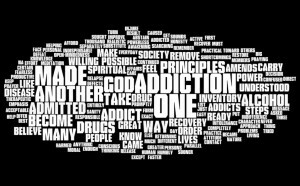 This blog is written for active and recovering alcoholics (and those suffering and recovering from substance and behaviour addiction) and those who love and live with them, by alcoholics and addicts in recovery. For those who know what it is like to live with alcoholism and addictive behaviours but would also like to know some ideas on why alcoholism affects the alcoholic and those around him in the way it does. which talks in more layperson, user friendly language and which speaks more of the language of the heart in describing what it has been like being in recovery. We do not propose to have all the answers, so please take what is useful for you and leave the rest. We, however, in the last number of years have come across new ways to look at the problem and to inform the solution. Our purpose is to create a forum for discussing how accurately scientific research, covering neuroscience and it’s associated fields of research, describe alcoholics and addicts, especially those in “recovery” in terms of theoretical conception and diagnostic description. In simple terms, how well do these theories and diagnostic suggestions match the experiential reality of alcoholics in recovery or long term abstinence. How accurately do they model the reasons for these individuals relapse, for example? How effectively do these models and diagnostic criteria point the way to effective treatment of these chronic conditions? How well do they allow the families and loved ones of these suffering individuals to comprehend their neurobiological disease and why it makes them act the way they do? 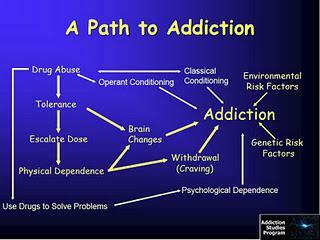 Most theories of addiction, from a neuroscientifc perspective are based on neurobiological definition, and experimentally driven. They test theoretical paradigms in controlled lab conditions and at times appear to lack ecological validity. They seldom appear rooted in the daily realities of the individuals they purport to study. We suggest the best way to disprove one’s elegant theory is to apply it to the every day reality to addicts and alcoholics in recovery. We suggest that neuroscientists and psychologists, among others, would be better served by engaging at a personal level with those they observe and study. We believe that the neurobiological theories, mainly ‘conditional ‘ or positive or negative reinforcement models, provide a great insight into how the brain of the addict or alcoholics is ‘hijacked’ in the transition from user to abuser to addict but do little to illustrate how these neurobiological deficits effect and in turn are effected by cognitive-affective regions of the brain. In other words, in our conception of addiction, for example, we are interested in how these neurobiological impairments both prompt and are mediated by emotional dyregulation and processing deficits. We are also interested in how via recovery, individuals reclaim their lives via the support of recovery communities. We will blog on how recovery changes the neuroplasticity of the brain and forward some findings on how the recovering person’s brain is changed for the better by recovery. This neuroscience of recovery is still a fairly neglected area of research and we will hope to contribute insight into showing how recovery helps recover many essential survival functions such as the recovery of rational (pre frontal cortex) regulation of emotion processing and regulation. We suggest this control over emotion is at the heart of recovery. The ’emotional disease’ or ‘cancer of the emotions’ or ‘parasite that feeds on the emotions’ or this ‘fear-based illness’ that alcoholics and addicts in recovery frequently describe their addictions and alcoholism appears to get little mention in many theories of addiction. Why? We forward the theory here that emotional dysregulation, measured often by heart rate variability, lies at the heart of addiction and alcoholism. Via a series of blogs, which hopefully build on and will be linked to each other, we will set out our theories in the hope that alcoholics and addicts will learn profound insights into their condition. Speaking personally we can say that research has not only helped improve our recoveries but even helped save them on occasion. We hope that families and loved ones will again insight into the behaviour of their loved ones in recovery and this will help them. We also hope to start a debate with researchers, clinicians, treatment providers, and other’s involved in helping and providing therapy for addicts and alcoholics regarding the nature of this condition and how best to treat it. In this blog, we marry the theoretical with the experiential and ancedotal to attempt to show how it is difficulties in processing, controlling and regulating one’s emotions that leads to decision making difficulties so profound that they set up and drive the addiction cycle and which also pose the greatest threat to one’s recovery and sobriety. We adopt a bio-psycho-social approach to demonstrate how genetic inheritance can be expressed in the fertile ground of childhood maltreatment which creates the emotion processing and regulation deficits which are the pathomechanism which drives the addictive cycle to the emotional distress based compulsive addictive behaviours of endpoint addiction. Recovery ultimately has to address this distress at the heart of addiction. It appears to do so not simply by treating the individual in isolation but within greater recovery communities. In alleviating the distress at the heart of addictive behaviour we appear to be able to alter neural networks in the brain and replenish the various neurobiological systems in the brain. We do this by first reconnecting ourselves with a network of other recovering people. Hence recovery appears to move in an opposite trajectory to that of the disease pathology which moves from genes via affective mechanisms to the influence of social factors such as family environment, peer associations, general cultural-societal expectations and then, via the addiction cycle, ultimately to increased isolation and reduced contact with community and society. Recovery moves from seeking help outside of the self, via recovery groups and communities and it is this connection that alters neurobiology, which improves the pathomechanism that drives addition, namely it improves emotion processing and affect regulation. This emotion regulation leads to altered behaviours which lead to lasting change in terms of neuroplasticity. I am working on a film about evidence-based addiction treatment for The Nature of Things. We are a nursery and kindergarten in Mexico and are quite interested in attacking the cause of addictions instead of fixing the effect. “The hole in the soul”. From what I understand early childhood and primary caregivers play an important role. If you could give us some references, readings or guidance on the subject would be much appreciated. There is also a whole page page dedicated to blogs on Attachment and Addiction. Hi Paul, I enjoy reading your blog. May I ask, what is the best tip you can share about starting my own recovery blog? That’s some really great advice thank you so much. I hope to inspire others to write as well. you’re welcome Alan! Good luck! Over 60 hours went into the article and I’m super excited to say that now it’s live! I’ve included a link to your blog. Please let me know if you have any other suggestions. Cool, I added the link in the natural flow! Thanks again Paul! And Thanks for sharing. Please let me know if there is anything else. I’ve got a lot more resources prepared so stay tuned! thanks Alan, yes I will stay tuned and look forward to your future work for sure. Great start!